The Yellow Yoga Mat is infused with curcuma which is anti inflammatory. 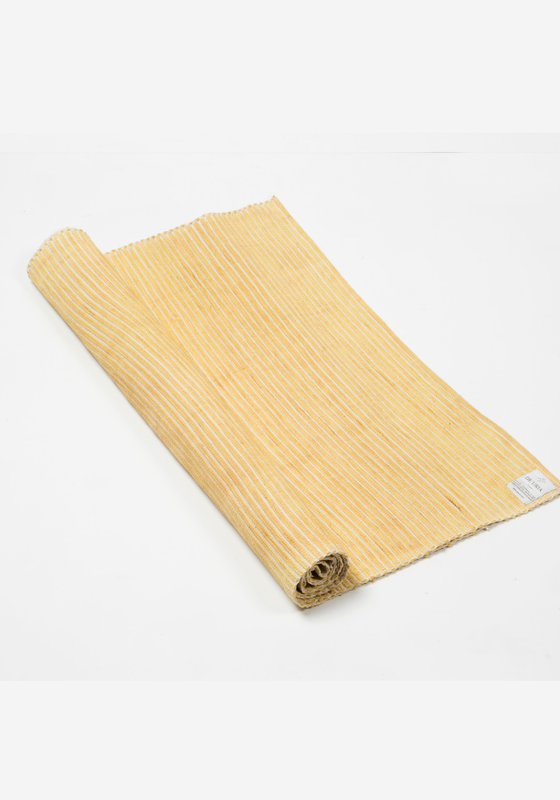 This De Uria yoga mat is unique: hand woven in organic cotton and natural rubber, it is dyed with Ayurvedic herbs. The Yellow Yoga Mat has anti-inflammatory propreties. this carpet is dyied with curcuma which is anti-inflammatory.